Help two young UC San Diego students Eric Suen and Kevin Liang bring their innovative idea to life. They have developed the EcoQube, a modern aquarium that is more than just an aquarium. Its a sleek desktop ecosystem that will soothe your soul. Its a product where everything works together and nature is doing all the work for you. You can watch plants grow and fish grow all at the same time. Basically, the EcoQube is a simplified version of aquaponics where you never have to change your water filter. You may ask, how? The fish creates waster. The filter takes the waste and turns it to fertilizer for the plant. 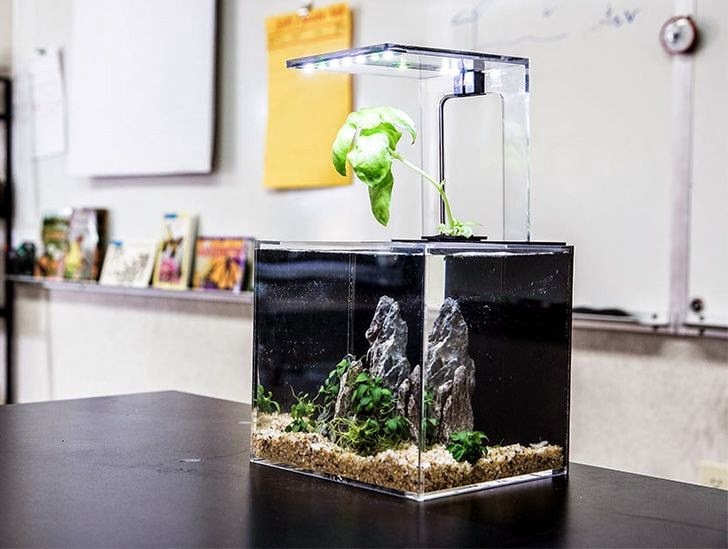 The plant like mint, basil and even flowers grows and cleans the water for the fish. The process starts all over again. All you have to do is decorate your tank, fill it with water, plug it in and enjoy. To me, the EcoQube is mindful design; where it can offer positive health benefits like alleviating stress, especially in today's demanding lifestyles. The underwater panorama will calm the human mind and put you at ease in your space, whether its in your office or at home. To take it a step further, the founders are thinking out of the box and believe that their EcoQube is just the start of thinking about other ways to grow food. Eric says, " one day we dream to scale the EcoQube to large farm sizes so that we can help with the water and food shortages around the world." Pretty amazing! On April 7th, they are kicking off their campaign to raise money. 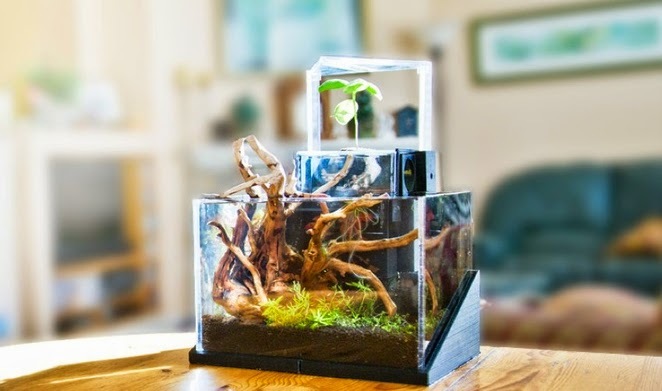 The normal price for one of these EcoQubes is $79 but if you sign up for their notification list, you can get the EcoQube for only $39. Sign up HERE.